We are a team of professionals with extensive experiences in fitness and training. We love helping people get healthier and stronger both mentally and physically. We have diverse backgrounds and each with an unique style (as you will quickly discover), but rest assured we are all dedicated to provide you with the best experiences possible and there is nothing that will make us happier than seeing you achieve your goals. Get to know each of us a little better here. I am a Personal Trainer and managing partner of Advantage Conditioning Ltd. who believes every person is motivated in different ways to reach their fitness goals. I love helping people make healthy lifestyle changes that they can share with family and friends. Little known fact: I absolutely hate chocolate. I graduated from the University of Winnipeg with a Bachelor of Science in Athletic Therapy in 2010 and began working with Advantage Conditioning in 2011. Over the years, I have continued to follow my passion for rehabilitation by furthering my education and being certified in Function Movement Screening, Soft Tissue Release, Selective Functional Movement Assessment, The Mulligan Technique (Upper and Lower Body), and most recently, Shift Concussion. Being passionate about sports myself, I understand firsthand what it takes to manage and recover from an injury while meeting life’s demands or participating in the activities I love. I use my expertise to resolve my patients’ injuries, aches and pains through rehabilitative exercises and functional correction. I help them manage their injury so that they could continue following their passion. 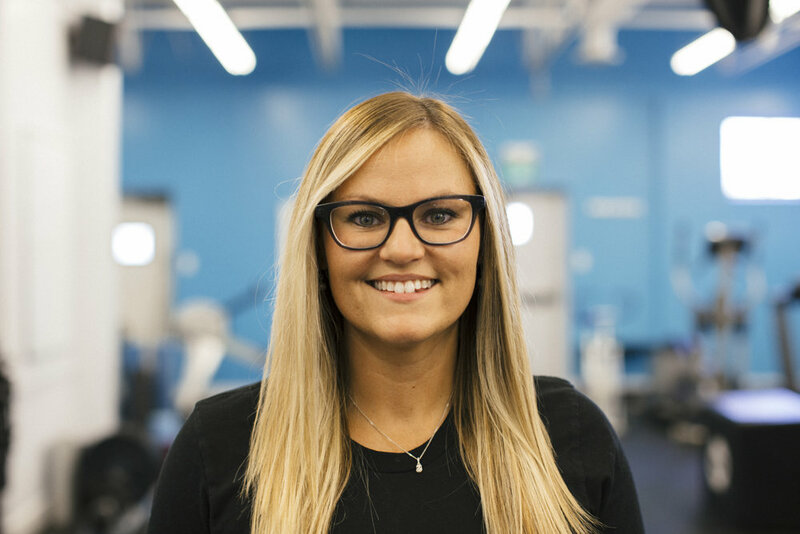 I graduated from the University of Winnipeg with a Bachelor of Science in Kinesiology (Athletic Therapy) in June 2015 and certified as an athletic therapist in June 2018. My additional role to this team is clinic manager of Advantage Conditioning. Physical activity has been a part of my life for longer than I can remember. The sports I played include baseball, soccer, basketball, volleyball, squash, lacrosse, hockey, and track and field. My interest in fitness and nutrition was sparked in the first year of high school while playing basketball and lacrosse. Helping people become stronger, and most importantly healthier, is a great feeling. Being able to do more of something each week and seeing the progression is the best part of being a personal trainer. Specializing in high performance hockey I have had the privilege with great athletes at many levels of hockey, from the Guelph Storm to the Manitoba Major Junior Hockey League Fort Gary Twins, as well as the Athletic Trainer/ Strength and Conditioning coach for Manitoba Junior Hockey League teams such as OCN Blizzard (2015/2016) and Virden Oil Capitals (2016/2017). Linking prevention to performance is a passion of mine. I graduated from the University of Winnipeg with a Bachelor of Science in Kinesiology (Athletic Therapy) in February 2018. 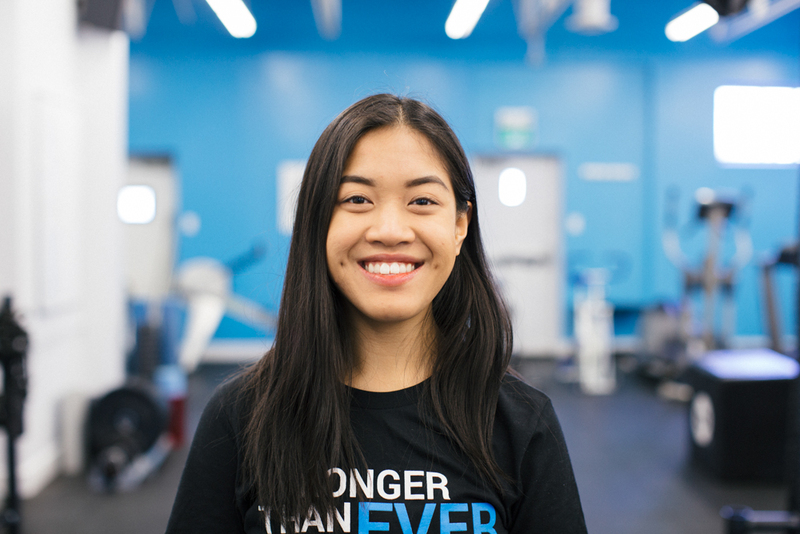 I joined Advantage Conditioning as a practicum student in 2015 but now have expanded my role in the team as a personal trainer/group fitness instructor. My next step is to write my national certification exam in November 2018, in addition; complete my strength and conditioning certification this year (CSCS). Growing up, I was heavily involved in the dance community; specifically ballet and tap. But I enjoy all forms of physical activity and sports. I believe in teaching my patients/clients' how their body should functionally move by correcting muscle imbalances and educating them on these topics. In addition, I currently am involved with a number of community/school sports teams such MMJHL Fort Garry Twins and Churchill Highschool Bulldogs football programs. I enjoy giving back and helping those who may not always be given a fair opportunity. I graduated from the University of Winnipeg with a Bachelor of Science in Kinesiology (Athletic Therapy) in June 2017 and certified as an athletic therapist in June 2018. I am into any activity that will make me work up a sweat. This passion for an active lifestyle brought me the Advantage, where I can share my knowledge and help others reach their heart goals. I have worked with numerous sports teams at varying levels. This has been highlighted by the University of Winnipeg CIS Men’s and Women’s wrestling teams, as well as the U17 AAA Midget Monarchs hockey team. I firmly believe in the necessity and importance of a preventative approach to healthcare. The earlier in life you start the better (but in my experience an old dog can always learn new tricks). Little known fact: There are none, I am an open book, ask me anything! I have always been an active person, playing multiple sports growing up and “adventuring” outdoors. My first degree is in Psychology. I worked as a corporate sales representative for four years, during which time I was diagnosed with depression. 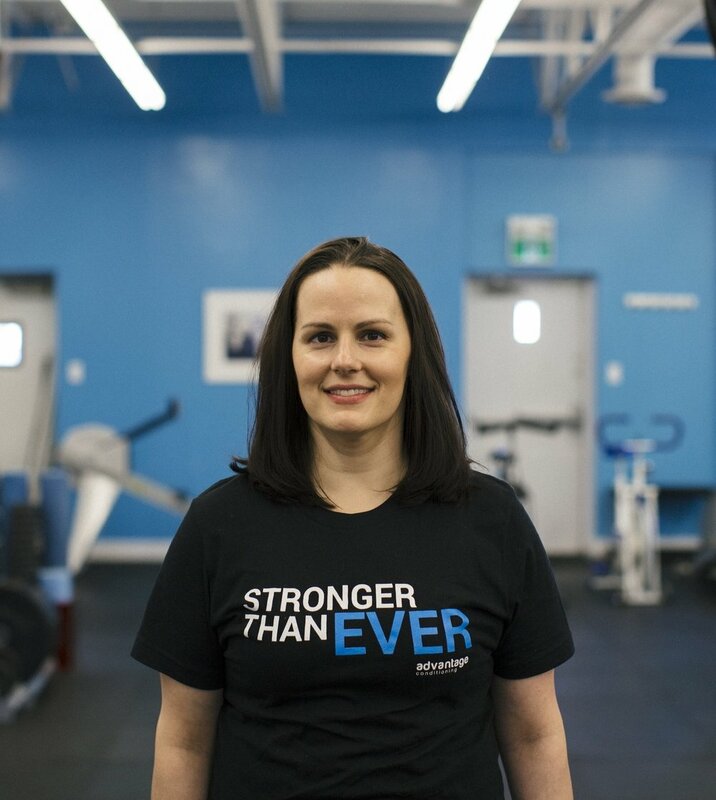 Using exercise as a tool to combat my depression, I found that the concept of “exercise as medicine” was something I wanted to pursue, and eventually earned my second degree in Exercise Science at the University of Winnipeg. I love helping clients set goals and watch them progress to achieve them. Everyone is different and everyone is going to choose what the best health plan is for them, but if I can educate and inform my clients so they make choices that promote a happy, healthy and balanced lifestyle, then I know I’ve done my job.